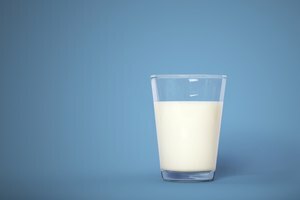 Milk is a staple in many people's refrigerators, used for everything from accompanying breakfast cereal to making pasta sauce and ice cream. It's the freshest from the day it was pumped from the cow, but it stays good for up to 14 days after that. Milk must carry an expiration date indicating when it will start to naturally spoil. 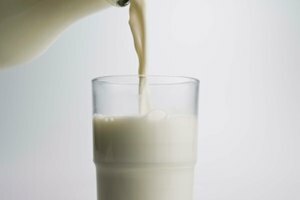 Milk should be kept at around 45 degrees Fahrenheit but not below 32 degrees. If the temperature shifts too much, milk spoils more quickly. Continual and rapid temperature shifts can breed bacteria such as lactococci and lactobacilli. Milk spoils when bacteria converts the lactose into glucose and galactose, producing lactic acid. Lactic acid creates casein and then forms a curd that can quickly curdle the milk within 24 hours. 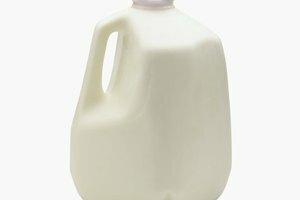 Once milk starts curdling toward the bottom of the jug, it's considered spoiled and should immediately be discarded. As bacteria forms on the sugary butterfat, mold also grows and spoils the milk even further. When opening milk, there should be no odor whatsoever. Spoiled milk smells sour and even foul. 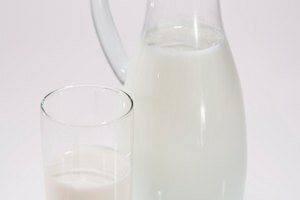 The color will most likely stay white, but a tainted or sour smell is the key indicator that the milk should not be consumed.